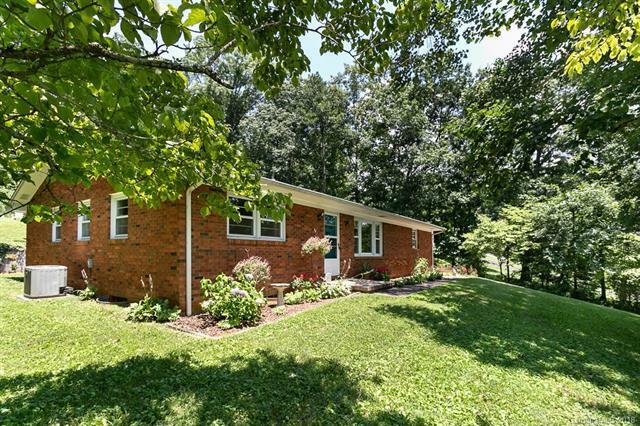 Cozy home in Fairview just minutes from downtown Asheville. Big Open room with renovated Kitchen, wood burning fireplace, sliding doors to outside area. Enjoy the mountain view from the living room as well as from the master bedroom with half bath. Real hardwood floors throughout. UV Light for Water Purification. Full unfinished basement with access to outside or inside. The 2 car carport is attached and has the same roof line as the house so it could easily be finished as a third bedroom or sun room. Home contains an Extra building lot that has been partially cleared and also has fabulous mountain views making this another reason to view this impeccably maintained home. Can also be a vacation rental as well. Great Neighbors! Come see it today, you won't be disappointed!